Established in February 1981 in Woodston, Nene Rubber & Plastics Ltd focused exclusively on the thermo-moulding of rubber and plastic products for industry, offering a service with the highest levels of professionalism, integrity and flexibility. Due to continued expansion the company relocated in 1990 to its current location in Stanground to the East of Peterborough. Nene Rubber & Plastics Ltd currently employs 10 staff and occupies a 5000ft2 industrial unit. As part of the move a new sales division was established to handle the supply and sale of stock items such as rubber matting, gaskets, PVC hose and other items. Nene Rubber & Plastics Ltd operates two primary divisions, Nene Rubber & Plastics Ltd for anti-vibration control solutions, the manufacture of rubber/metal bonded mountings and bobbins as well as rubber mouldings, seals and gaskets; and Nene Rubber & Plastics Sales Ltd which focusses on the supply of rubber and plastic products such as matting, sheeting, PVC hose, door curtains, foam, and engineering plastics. A third part of the company which supports both of the incorporated divisions is the machining section which undertakes toolmaking for the mouldings side of the business and plastics machining for the sales side. 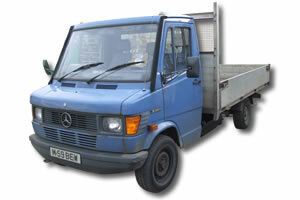 We operate a 1.5 tonne flat bed truck for deliveries around the Cambridgeshire and surrounding areas. Onsite lifting capacity consists of a 1 tonne fork truck used for loading larger machined deliveries.